For me, spending time in the mountains is about escaping from everyday life. I spend way too much time on my iPhone (who doesn’t? ), so when I’m on a snowboarding trip, it’s all about doing more and browsing less. Still, my phone is the most important item when traveling or planning a trip. There are loads of great apps for the skier or snowboarder, here are a few of my favourites. Ok, an obvious choice, but Google Maps really is the most useful travel-related app I know. Once you dig deeper, it’s incredible how much info there is on the app. I use it a lot when searching for accommodation, especially in areas that are a bit off the beaten track. 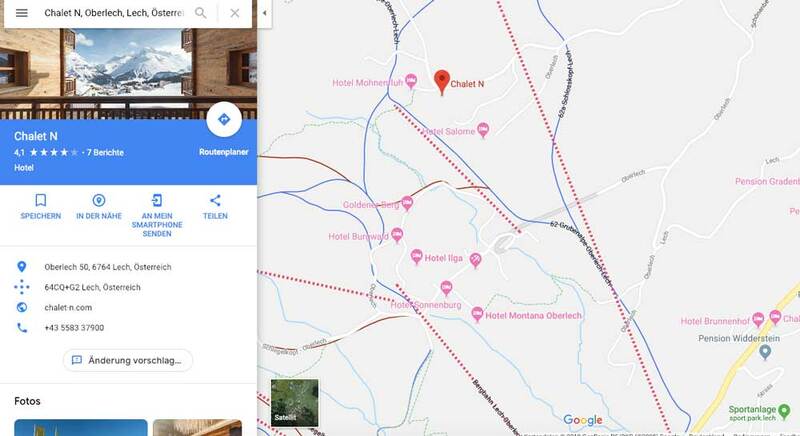 It’s often easier to find accommodation in more traditional areas in the Alps on Google Maps than by using Airbnb or Booking.com. Austria is a good example. It has many family-run pensions and guesthouses that often aren’t featured on more traditional accommodation apps. Find the area you’re interested in on Google Maps, zoom right in and you’re guaranteed to find accommodation options. There are the obvious route finding capabilities of the app too – always useful when you’re trying to go somewhere on snowy roads in potentially bad weather. I’ve also occasionally used it as a crude GPS device when touring, just to get a fix on my location. This obviously shouldn’t be relied upon but it could be a lifesaver if things go wrong. Surely the most popular weather app for skiers and snowboarders. Snow Forecast is clean, slick and easy to use. Like most weather apps, the forecast is based on raw computer data and don’t have human input. This makes the snow totals sometimes forecasted a little off, but forecasting snowfall in the mountains is notoriously difficult at the best of times anyway. Use it as a tool for weather trends and approximate snowfall, and you’ll love it. The app also has colour coded maps of popular mountain areas around the world showing snowfall amounts which is really useful to get an overview of a larger area. It makes it very easy to see where the most snow will fall which is especially useful when on road trips looking for the best pow. The Snow Forecast app also includes high-resolution piste maps for all ski areas along with general info like snow depths and number of runs open etc. This app is powered by the super popular website wePowder.com. In the last couple of years, wePowder has become the go-to site for freeriders looking for powder in the Alps. It has a great mix of forecasts and real-time reports. Crucially, the forecasts have input from mountain weather expert Meteo Morris and are therefore generally more accurate than basic computer generated output. 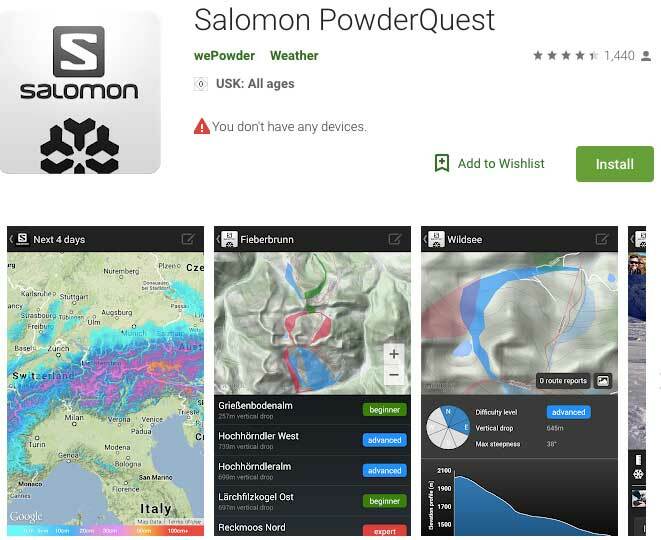 The App isn’t quite as complete as the WePowder website, but you still get excellent snowfall maps, and user-generated reports from The Alps, Norway, Pyrenees and North America. There’s also a comprehensive list of freeride routes in many major resorts across the Alps. These all have a satellite image with colour coded route drawn on top, along with general info like route length, altitude, orientation, and difficulty. If you’re the kind of person who likes to leave it late before booking a trip in the hope of scoring some great powder, then this app is invaluable. The two best accommodation finding apps. Airbnb, in particular, has been revolutionary and really changed the travel industry. Both are great for free roaming freeriders looking for somewhere to stay in the mountains, either at short notice or in advance. Airbnb is definitely the better option of the two for apartments and self-catered accommodation. Booking.com is probably better for searching out hotels. Both work really well and are a safe and convenient way of booking accommodation. I’m surprised there aren’t more apps dedicated to sharing info on avalanche conditions and backcountry safety in general. The Avalanche Canada app is clearly only useful if you’re in Canada. If that is the case though, it’s a great resource. 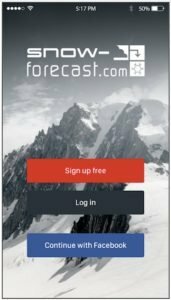 The app combines official avy reports written by avalanche professionals all over BC and the Rockies with user-generated reports from the ground. 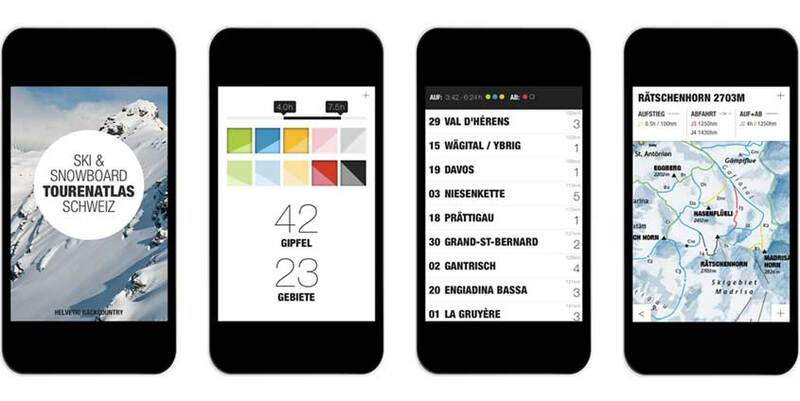 The app is laid out in an easy to digest format and also has some excellent mountain specific weather forecasts too. Definitely, one to download if you’re heading out into the Canadian Backcountry. Another location-specific app, this time it’s Switzerland. The Tourenatlas app from Helvetic Backcountry really is an excellent app for ski touring and splitboarding in the Swiss Alps. It comes off the back of Helvetic’s Tourenatlas book and features many of the ski tours from the book in digital form. Ski tours from 30 different areas all across the Swiss Alps are described. There’s a map for each area with routes shown along with timings, difficulty and safety info. A brief description of each route is given in German and some gorgeous images are included too. This app has been a massive success and rightly so. Fatmap is a digital mapping application that is aimed at the freeride skier and snowboarder. It’s essentially a library of freeride routes all over the Alps. Catalogued by area, each route contains basic info like slope angle and altitude along with a short description. The really special thing about Fatmap though is the Google Earth-style satellite mapping and imagery. It enables the user to see the zone in 3D and even takes a fly-through along the route, which is pretty awesome. This is an excellent app for the freerider on the ground, but it’s also great for browsing future adventures at home too. 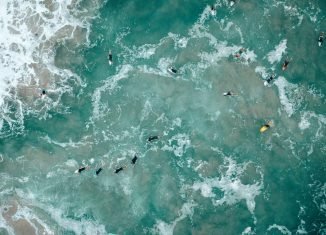 Hopper is great for researching and booking trips. 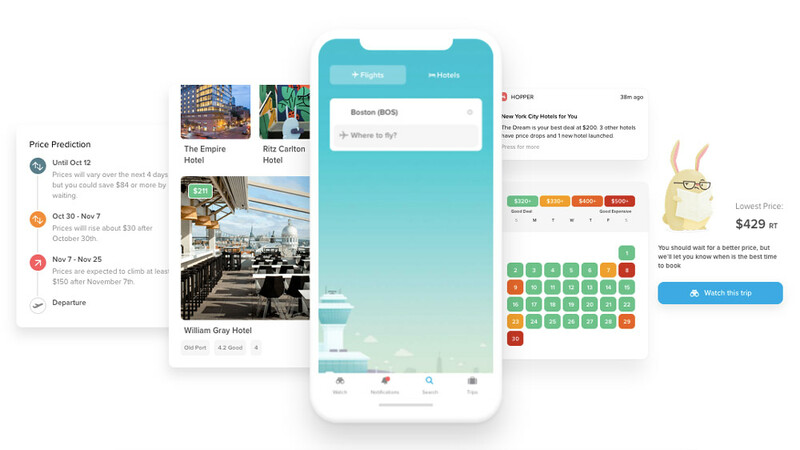 It’s an app only platform that predicts flight and hotel prices in advance, advising the user when the best time to book is, based on current and future rates. The app claims to be correct 95% of the time which, if true, is pretty impressive. Over the years I’ve definitely been frustrated more than once when I’ve stalled on booking flights only to come back a week later to see the price has increased. If Hopper can accurately predict hotel and flight price increases, it’s got to be worth checking out.